This hat was designed for my friend Johnathan to be a man-hat that’s actually fun to knit :) Enough cable to be interesting, while still being sufficiently manly for my Scotch-Irish friend who loves Celtic cable-work. 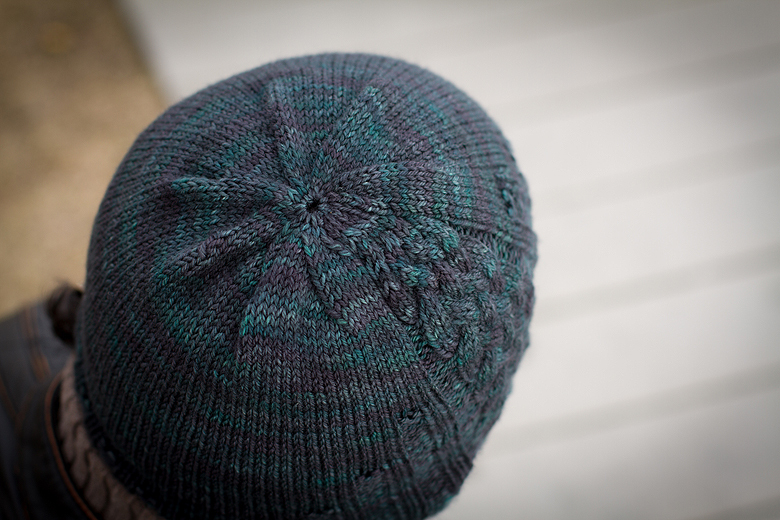 The cable pattern, tapered sections and decreases have been charted as well as written and the hat requires 160-180 yards of DK weight yarn. 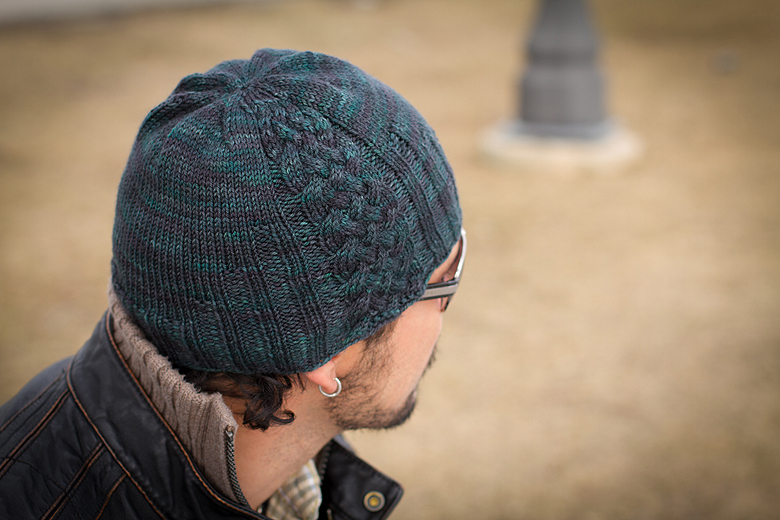 The hat in the photos was knitted using Tanis Fiber Arts Yellow Label DK in the relatively new colourway ‘Spruce’. Tito gravitated to it at once when he saw it – I wonder if that colour was one of Chris’s creations? 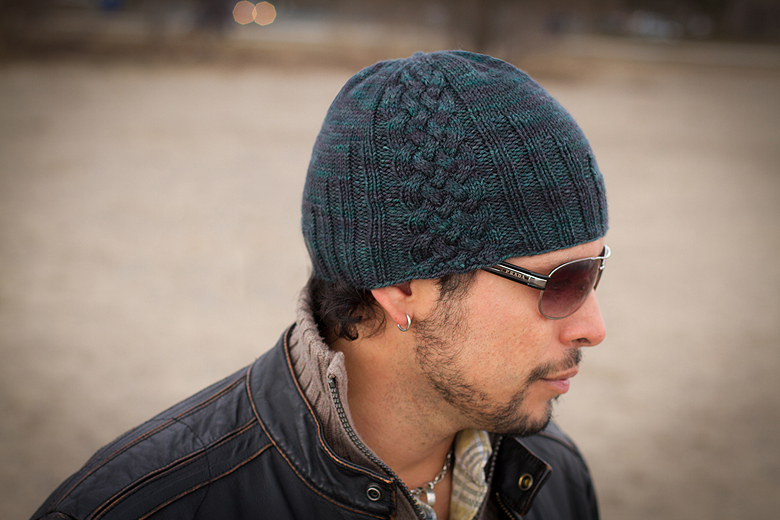 Definitely man-approved, but still luscious to knit with. Win. 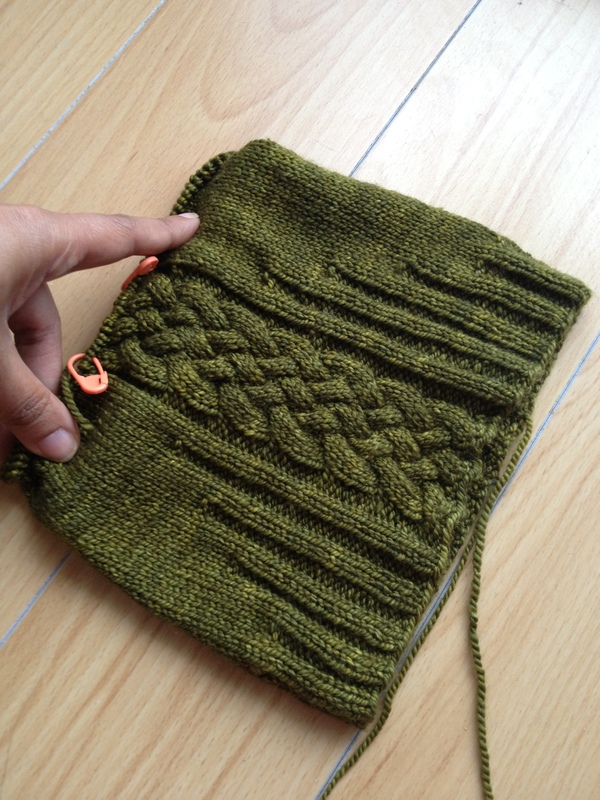 I’ve also worked one up in Zen Garden Serenity DK, in the ‘moss’ colourway. It’s a great alternative if you’re looking for a solid piece.